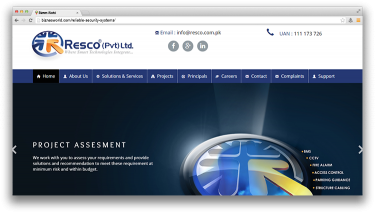 Description Resco is an Intelligent Buildings Systems Integration company, focused on delivering state of the art intelligent solutions, industry leading technology and best of class services to its clients in all sectors including commercial, residential, healthcare, airports, hospitality, government etc. Address 1st Floor, Fasi Villas, Block-04, F.B. Area, Karachi.